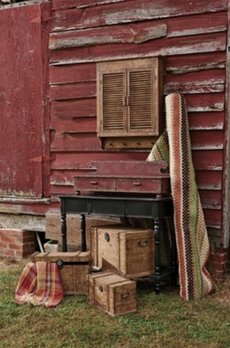 The perfect additional to side table or desk for when you need more storage options. Features two pullout drawers for storage. 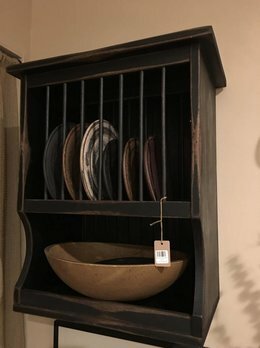 The finish is time worn for a vintage look. Dimensions of 12" high, 36" wide, and 9 1/2" deep. 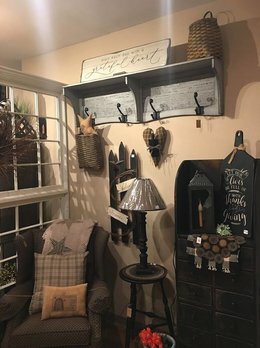 Here's a beautiful addition to your country home, the Farmhouse Grey Bar Wood Shelf! 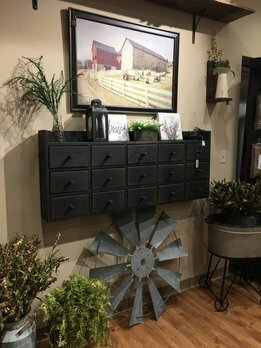 This shelf is a great place to display your treasures on the top or to hang a favorite wreath or basket from one of the 4 large hooks included.